Ouch! Why Is My Border Collie Nipping Me So Much? There are a few reasons for this behavior, and you can eliminate it with training. The Border Collie is arguably one of the most beautiful dog breeds around. Also highly intelligent, these working dogs make excellent companions for those who spend time outdoors. Border Collies were bred to herd sheep and other flocking animals, for which their intelligence and stamina is well suited. However, some Border Collies can also display some undesirable traits if you’re not a sheepherder — namely, nipping or biting. So why do some Border Collies nip so much, and how can you get them to stop? Border Collies were bred to herd with a mixture of barking, body movement and nipping to direct their charges in the right direction. When a Border Collie nips, they may be trying to herd you in the direction they want you to go. To them, this is natural behavior — it’s what they were born to do. It’s up to you to observe your Border Collie’s behavior and other factors to determine what their motivation is for nipping. Understanding their exact reason for nipping can help you teach them to stop. It’s normal for puppies to bite or nip. This is how they explore their new world. In these first weeks, their most important teachers are their mothers and litter mates. It’s important to ensure your puppy isn’t removed from their family too early for this precise reason. When your Border Collie puppy is ready to join your human family, no-bite training should begin immediately. It’s tempting to give your puppy a pass on nips because they’re cute, but when they get bigger and older, those nips aren’t going to be cute anymore. 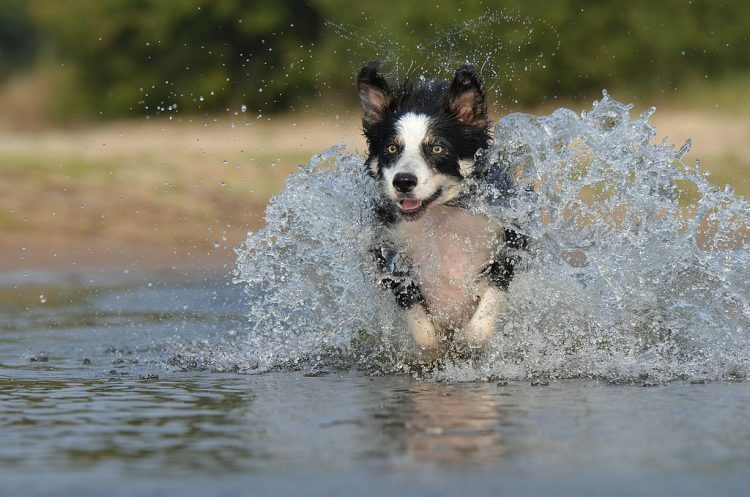 Border Collies are highly energetic dogs and need a great deal of exercise. If they’re not getting enough exercise or are bored, they may nip or bite you in an effort to get you to play. They have energy to burn and need you to help them expend it safely. 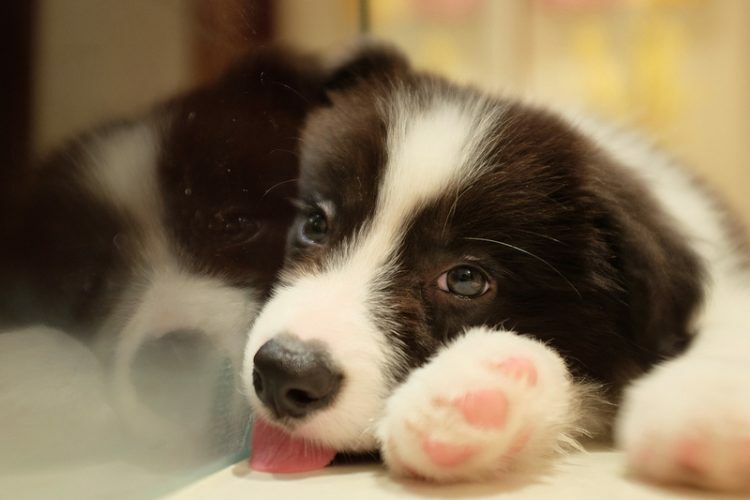 Border Collies who are not well socialized may display problem behaviors, such as biting or nipping. Start socialization early to get your Border accustomed to all types of people and other animals. “Between the ages of 12 and 20 weeks your puppy is most receptive to learning how to handle new sounds, smells and sights,” says Wilson. Take your Border Collie with you in the car. Allow well-behaved children to interact with them. Introduce them to new people of all ages, races and genders. Once your puppy has been fully vaccinated, begin introducing them to other pets and having them attend “puppy play dates.” Supervise all interactions with your Border Collie to ensure that they are positive ones. Parenting a Border Collie is a wonderful experience. These dogs are amazing companions, and with the right amount of positive training, socialization and exercise, they can be taught that nipping isn’t permitted in their households.